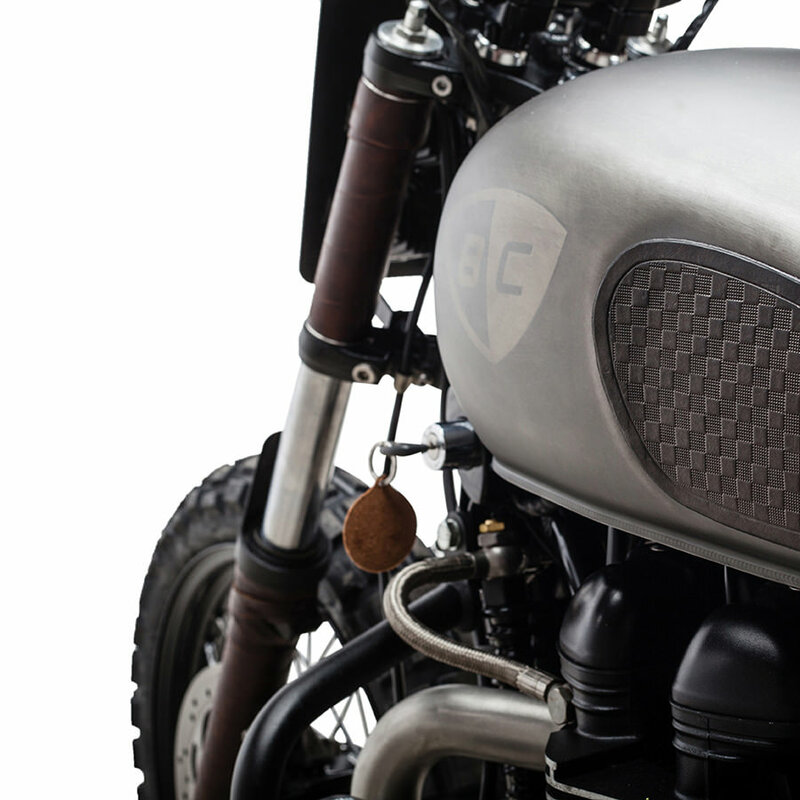 Custom motorcycle to be given away for charity will be unveiled at the upcoming One Moto Show. 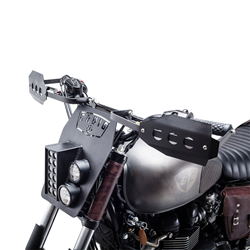 The CROIG X British Customs "Furiosa" will be given away for charity soon, and fully unveiled at the upcoming One Moto Show. Being able to watch as something you envisioned is created is an incredibly gratifying experience, and one that I hope many people get to share through the Weekend Projects created by this build. The soon-to-be-given-away CROIG X British Customs Mad Max-Themed custom motorcycle “Furiosa” is en route to The One Moto Show in Portland, OR. The giveaway winner will be announced on March 31st. The process of building Furiosa has been an initiative to raise awareness and donations for Riders for Health, a charity dedicated to saving lives in Africa by delivering medical supplies via motorcycle to communities in need throughout sub-Saharan Africa. The inspiration for the build came from the community, the concept drawings were rendered by Jeremy Lacy of DownShift Studio, the bike itself built by CROIG, and the project powered by British Customs Weekend Projects. To encourage community involvement and to stress the importance of giving back, Furiosa will be given away as part of British Customs Weekend Projects. Weekend Projects is about helping people reconnect with their past by working with their hands, bonding over shared experiences, and creating something together. BC Weekend Projects is an initiative to bring the community together and giving back to be a part of something greater. Furiosa has been built as a series of eight Weekend Projects by Blaschko, a voice of the motorcycle community. Furiosa started as a stock 2015 Triumph Bonneville, and Blaschko completely customized it with a series of projects designed such that they could each be completed in a weekend afternoon. These projects are categorized by appearance, controls, driveline, handling, lighting, and performance, and each requires only common tools to install. 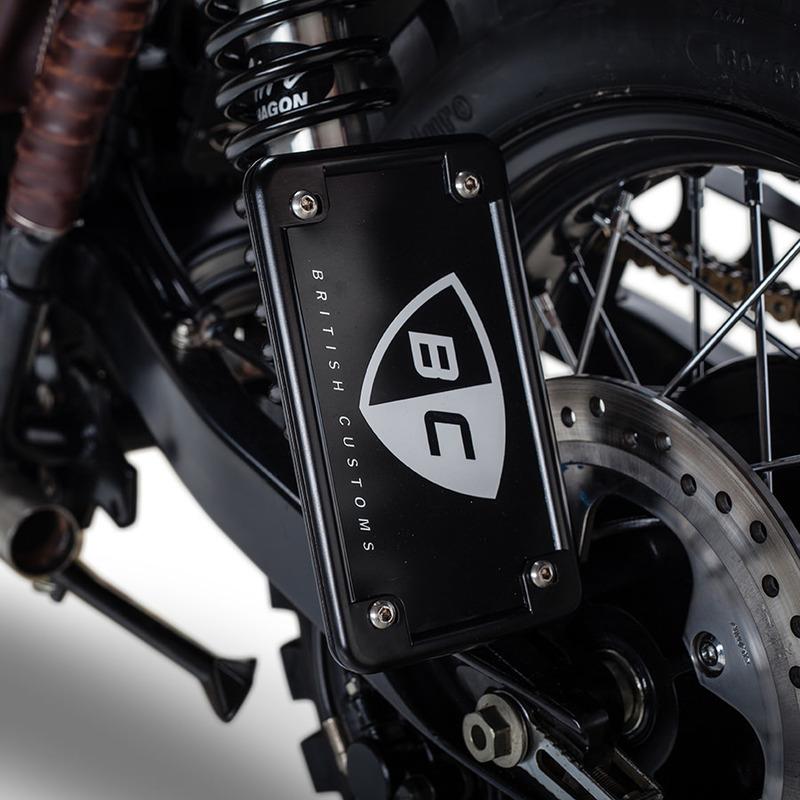 Blaschko has documented the process of the build, and hopes to inspire other community members to personalize their own motorcycles by showing them that a custom motorcycle can be built with common hand tools. 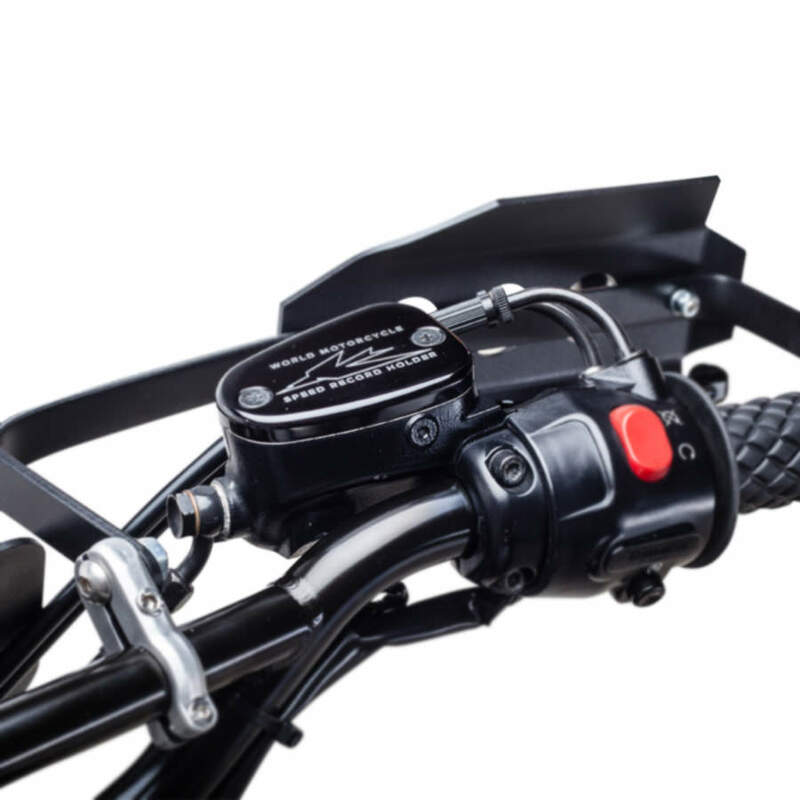 The concept drawings for the motorcycle were created by Jeremy Lacy, the founder of DownShift Studio. Furiosa’s final form features a number of custom parts fabricated by Blaschko which were sketched by Lacy. Furiosa will be fully unveiled at the upcoming One Moto Show in Portalnd, OR. The One Moto Show is a custom motorcycle show inspired by the community’s love and appreciation for heritage, things with history, and what can be made by hand. The giveaway is eligible internationally, including residents of Thailand, Australia, and Indonesia. Registrants are encouraged to be a part of something greater by giving back to the community through making a donation to Riders for Health. 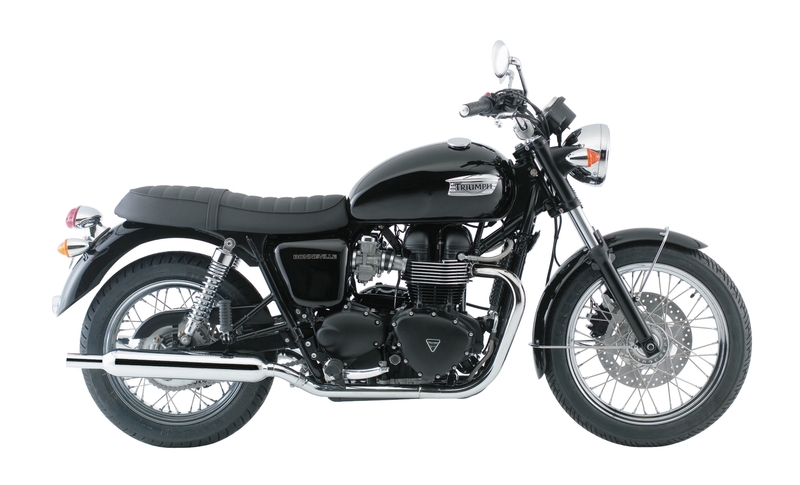 Donate and register to win the bike here. Riders for Health is a social enterprise and registered charity that manages and maintains vehicles for health-focused partners in eight countries in sub-Saharan Africa. They work with ministries of health and other, smaller community-based organizations to help manage two- and four-wheeled vehicles of outreach health workers, allowing them to reach rural villages. Riders provides maintenance and management of these vehicles, and training for health workers in safe riding and driving.